Shelves are offered in both solid and vented versions. Shelves are offered in both solid and vented versions. shelf can support 200lbs of weight. 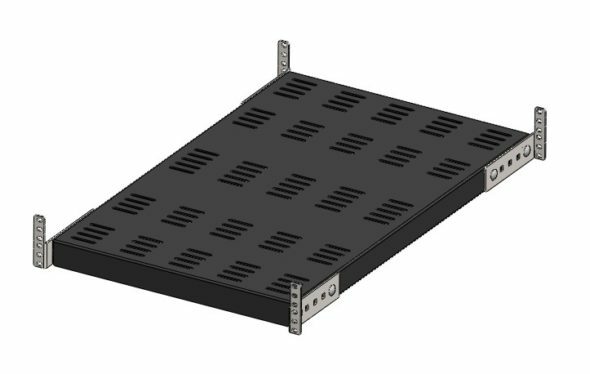 Versatile shelf can be mounted on a 2 post rack or 4 post rack.